A fun tide pool walk in Singapore reveals a dynamic and rich marine ecosystem, and would you believe it’s in a landfill! The fiddler crab does a peek-a-boo and scuttles off. The octopus hunkers down amid psychedelic sponges and alien-like soft coral, while a tiny kaleidoscopic flatworm floats by like a gentle, undulating wave. Our necks are sore from craning, and the scorching heat from the sun is stinging our skin. But like a bunch of eager kids on a treasure hunt, we’re having a blast sloshing through ankle-deep water to spot the intriguing marine creatures lurking here. The intertidal walk, run by National University of Singapore’s Raffles Museum of Biodiversity Research (RMBR), is on Pulau Semakau, 8km south of Singapore’s main island, which ironically is also the country’s only landfill. For 365 days a year, 24/7, all the incinerated and non-incinerable trash from the country’s 4.84 million population is dumped here. The landfill’s capacity equals 840 football fields, piled three stories high (source: www.pollutionengineering.com) and will be able to hold Singapore’s average 2.45 million tonnes of rubbish a year (2008 statistics from the National Environment Agency) until 2040. Opened in 1999, Semakau also prides itself as being a biodiversity hotspot that harbours rich marine life, including rare plant and animal species. Aside from a working landfill, you’ll also see mangroves, sandy shores, seagrass meadows and coral reefs. Today, the island is a haven for nature buffs, researchers and interest groups like Nature Society Singapore and Sport Fishing Association Singapore. Bird lovers come to ogle at the 55 species of birds which have been spotted here so far, like the endangered Great-Billed Heron, Pacific Reef Egret and the Malaysian Plover. And sports fishing enthusiasts enjoy catching and releasing grouper, barracuda and milk fish. At low tide, groups like ours wade through the mudflats carpeted with lush seagrass and decked with giant anemones, molluscs and multi-hued and -shaped corals. “Intertidal”, refers to an area that is immersed by seawater during high tide and exposed during low tide. Calling the intertidal zones home are the hardy creatures that survive amazing feats daily — drying up and overheating during low tide, and resisting pummelling waves when the water rises, as well as dealing with predators like crustaceans and wading birds. During our two hours there, we spotted a mind-boggling variety of creatures, from sea slugs, worms and sea stars, to snakes and bizarre-looking coral. Our guide, Robert Heigermoser, briefed us on the do’s and don’ts before the walk. The rule of thumb is not to pick up or touch anything, and follow the guide’s lead to avoid squashing tiny creatures or stepping on potentially lethal ones like jellyfish or sea urchins. Of German origin, Heigermoser is a Singapore-based licensed nature guide and volunteer guide for RMBR. His razor-sharp eyes can even spot creatures like the Elbow Crab which blends seamlessly into the mud to waylay a prey. Heigermoser dished out interesting information on these marine creatures. For instance, the sea stars have amazing regenerative powers — they are able to grow parts of their body that have snapped off. And did you know that if a sea cucumber is threatened, it expels a sticky white substance that hardens upon contact with air? If provoked even further, it spills its guts, literally, in a last ditch attempt to gross out its predator. “Of course, the gut would eventually regenerate,” Heigermose adds. One of the most odd-looking corals was a smooth, leathery coral (Family Alcyonaceae). It looks freakishly like gloved hands, piled one on top of the other and reaching out to grab the nearest passer-by. Creepy! Since Semakau opened as a recreational area in July 2005, RMBR has done 60 walks for the public, schools and government agencies, and reached out to about 2,437 participants, says RMBR’s education and research officer Wang Luan Keng. Semakau is open to the public only via the various interest groups. “Some of these participants have gone on to other nature walks or returned to our walks. Some have even signed up with us as volunteer guides,” says Wang, who was leading a group of secondary students on the same trip as yours truly. “Others share their experience by blogging or through Facebook and encourage their friends and family to join the walk. We hope to educate the participants about the rich biodiversity in Semakau and the need to conserve our marine heritage,” adds Wang. Also on the itinerary are a landfill tour and a short video briefing on Singapore’s solid waste management practices. “Through the landfill tour, participants can learn about the need to protect the environment and to prolong the life span of this island by changing their lifestyle so that they can minimise the waste generated each day through the 3Rs: reduce, reuse and recycle,” points out Wang, whose RMBR has just started scientific surveys at Semakau. Another passionate proponent of Semakau is environmental activist and ecology expert, Ria Tan. 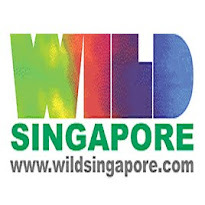 The Singaporean single-handedly runs the popular website, Wild Singapore, which stores a cache of information on natural areas in Singapore, flora and fauna species, photo galleries and event/activity announcements. “With probably the largest mangroves, seagrass areas and coral reefs in Singapore, Semakau is a spectacular place to share with members of the public” according to Tan over an e-mail interview. In 2005, Tan and a few individuals did a survey of Semakau when the National Environment Agency (who manages the landfill) was toying with the idea of opening the island for recreation. “Its natural mangroves shelter a wide variety of flora and fauna and some are so rare that they are no longer found in mainland Singapore,” she adds. For land-scarce Singapore, places like Semakau, Sg Buloh Mangrove Reserve, Chek Jawa in Pulau Ubin and Bukit Timah Nature Reserve are instrumental in creating eco-awareness in its young. “It’s amazing that after over 100 trips here for both public walks and surveys, we are still finding something we have never recorded before on each trip — that goes to show the rich diversity that is still awaiting discovery,” Wang sums up. Yup, for those three hours in Semakau that afternoon, I felt like Alice stumbling into a Wonderland inhabited by shore creatures. For more information on Semakau, visit www.wildsingapore.com. To take part in a Semakau walk, click on: http://rmbr.nus.edu.sg/workshop/semakau_workshop.php (Raffles Museum of Biodiversity Research). Every day, an average of 2,000 tonnes of ash from Singapore’s four incineration plants are shipped to Semakau. The country burns more than 90% of its garbage due to lack of space. But where do you dump the ashes? When the last landfill closed on mainland Singapore, Semakau took over in 1999. But the government realised that creating more landfills wasn’t the answer. Hence, from the early 1990s, the government started launching national recycling programmes and to campaign for industries and residents to produce less waste. At Semakau, they built a 7km-long rock bund to connect two offshore islands, Semakau and Sekang. The closed-up area becomes a waste pond divided into 11 interconnected bays or cells, where the ashes and debris are dumped. Once each cell fills up, it’s covered with a layer of soil and planted with grass. From the start, Singapore’s National Environment Agency (NEA) made an effort to protect Semakau’s natural environment when designing and constructing the landfill. Mangroves destroyed during construction were replanted. The mangroves are now a thriving 13ha forest. Silt screens were installed to ensure that the coral were not affected during reclamation works. The landfill is lined with an impermeable membrane and marine clay, and any leachate is treated at a treatment plant. Regular water testing is carried out to ensure the liners work. The mangroves are also good indicators of seepage through the liners. “Another design feature is the built-in channels that allow the flow of seawater into non-active cells, keeping the water fresh at all times,” says an NEA spokesman via e-mail. Today, the landill is clean and odourless, and its surrounding waters are unpolluted. All you can detect at Semakau is the salty whiff of sea water. NEA works closely with nature groups, corporations and schools to ensure the public learn about the country’s waste management system. But come 2040, the government has to figure out what to do next. In the meantime, Singapore residents are gearing towards minimising thrash and increasing the recycling rate from the current 56%.